Proudly wear this familiar U.S. Army-An Army of One slogan on our T-shirts and sweatshirts. Pair it with a U.S. Army-An Army of One coffee mug when you're looking for a thoughtful and unique gift. 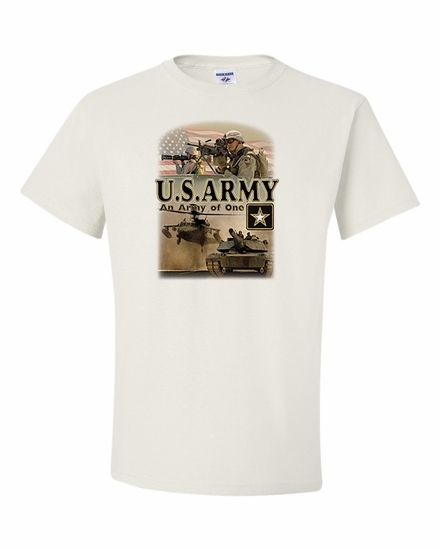 Remember� you found the U.S. Army-An Army of One Shirts at TShirtHub.com, where high quality came at a low price.